The International Energy Agency (IEA) says in a newly released report that the longer we wait, the more expensive it becomes to decarbonize our energy systems. According to the Paris-based organization, cutting carbon emissions from power generation now through 2050 requires investments of up to $44 trillion – up by 22 percent since 2012. The increased costs is mainly due to a growing use of coal that outweighs the implementation of renewable energy globally. To be able to limit global warming to safe levels, i.e. the 2-degrees Celsius target world leaders have endorsed, the world need to more than triple the use of renewable energy, nuclear power, and carbon capture and storage (CCS) technologies. But IEA says the current progress of transforming our energy systems is “bleak” with emerging economies, such as India, facing the toughest challenges. “We must get it right, but we’re on the wrong path at the moment,” said IEA Executive Director Maria van der Hoeven, who launched the report during the Fifth Clean Energy Ministerial meeting in Seoul. “Growing use of coal globally is overshadowing progress in renewable energy deployment, and the emissions intensity of the electricity system has not changed in 20 years despite some progress in some regions. A radical change of course at the global level is long overdue,” she said. But there are some good news in the report as well. 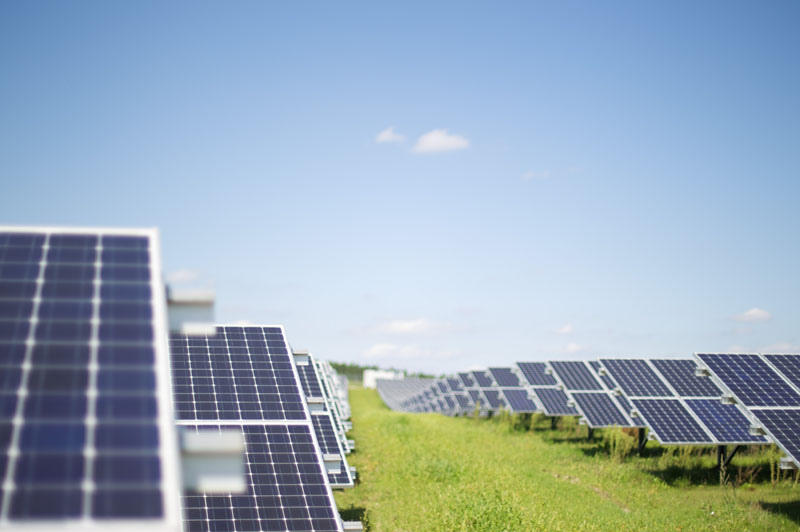 The deployment of renewable energy is growing globally, and in some areas renewables are competitive with fossil fuels. And further investments in renewable energy, nuclear power and CCS would actually offer more benefits than costs. According to IEA, spending $44 trillion to transform our energy systems would yield more than $115 trillion in fuel savings. Today the first polls for the European Parliament election opened. People in the Netherlands and Britain will be among the first Europeans to cast their ballots in the marathon election spanning 28 countries in four days. And this election might be the most important one in recent history. Extreme far-right parties are making gains throughout Europe, spreading dangerous xenophobia and hate. And a low voter turnout could be in their favor. It’s therefore important to participate and vote for democracy, for equality and human rights. Let’s show these hateful and ignorant people that we Europeans have learned from our dark past. That we won’t forget. And that we won’t accept their sick and misguided worldview. It’s an important election, for many reasons. But the most pressing issue of our time is obviously climate change. It is the crisis that could destroy everything that we and generations before us have worked so hard to achieve. We have known about climate change for decades now. But we have done nothing. And we can’t blame it on ignorance – that we didn’t know any better. In a sense, the climate crisis could really be the biggest political failure in human history. The European Union is the world’s largest economy. The largest share of capital and the largest state budgets are all located within Europe. Together, Europe is an economic powerhouse capable of anything. But climate action cost. It’s estimated that we need to spend a few thousand billions annually to save the climate. That might sound like too much – especially in the wake of an economic crisis. But it’s not much compared to the EU’s total GDP, which is over €13 trillion. Combating climate change clearly wouldn’t hurt us economically. It wouldn’t even cost us one percent of EU’s total GDP. Climate change is supranational, it’s a global problem that doesn’t care about nations or borders. Therefore the solutions need to be supranational. And despite all it flaws – believe me, there are many – the European Union is this solution. Together, the European Union could create a common energy market that favors renewable energy over dirty fossil fuels. The EU could easily promote cleaner and greener modes of transportation. We could create a unified transportation system which makes it possible for people to travel across Europe, quickly and comfortable. There are of course many other examples. But none of this is possible to accomplish for nations on their own – it would simply take too long. And it doesn't help that the current energy market is based on national monopolies and cartels. These are corporations that profits from tariffs, restrictions and lousy energy transfers between countries. Changing this outdated business model is a daunting task for the EU alone, but it will be even harder to accomplish if countries try to negotiate possible solutions with neighboring countries on their own. It would be like the current railroad system, where Swedish trains cannot travel in Europe because the railway tracks and systems differs between countries. A unified Europe is something we should strive for – it’s in our best interests. But which party should get your vote? The conservatives doesn’t seem to grasp the severity of climate change. The liberals put their faith in the market, hoping the market will solve the climate crisis on its own terms - the very same solution they advocate for every problem. The Social Democrats seems too keen to safeguard national economic and industry interests. And the socialists, well they unfortunately don’t see the possibilities of a unified Europe. 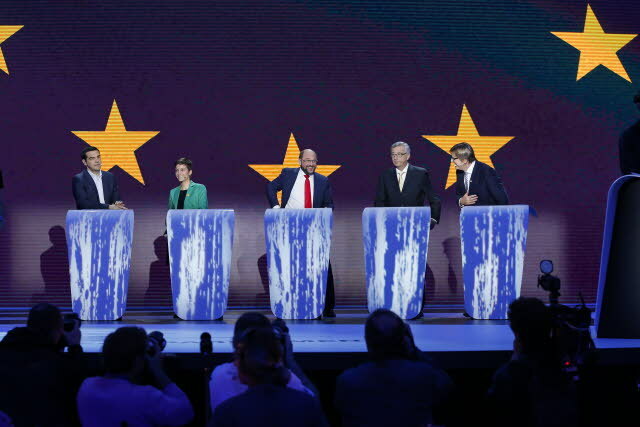 For a democrat, the remaining choice are the European Greens. They are the only political group that has constantly pushed the hardest for human rights, solidarity, and real and meaningful action against climate change in the EU. But PollWatch published its final election prediction a few days ago. And according to their numbers, the conservative party group, the EPP, would again receive the majority of the seats in the parliament. The Social Democrats would be the second largest political group. EPP would get 217 seats, 16 more than the Social Democrats. The Greens would actually lose seats, going from their current 58 seats to 44 seats. This would mean that the main EPP candidate, Jean-Claude Juncker could soon become EU's most powerful politician. This would be a sad outcome. Juncker is basically the epitome of conservatism. He is old, white and male. In debates, Juncker has used the term "floodgates" to talk about migrants. He has claimed he "don't know anything" about the TTIP mandate. And his political group - which includes abortion opponents, homophobes and nationalists - supports "fracking" and austerity measures, among many things. Juncker and the EPP would surely mean bad news for our environment, and an EU that will continue to lack the political will to modernize and combat climate change head on. It’s clear that the green voice must be strong if the European Parliament should make any meaningful progress on climate. I therefore ask you to take part in the elections, and that you vote for a greener and fairer Europe. The Golden State is being blackened by the most menacing brushfires in nearly two decades. As climate change continues to rear its ugly head, thousands of places including homes, a university campus, a nuclear plant, and parts of military bases have been evacuated in southern California. Nine fires have already burned more than 10,000 acres, and unfortunately, the blazes have merely gotten off to an early start. Experts believe the fires will worsen and spread more quickly as summer approaches. 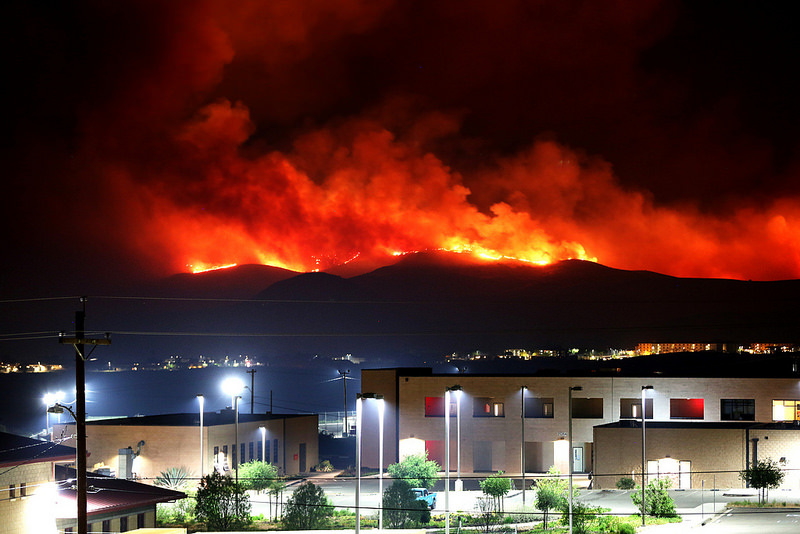 The fires broke out on May 13, prompting Gov. Jerry Brown to declare a state of emergency for San Diego County. Paul Mendes, police captain of Carlsbad, Calif., remarked, "This is May. This is unbelievable. This is extreme. 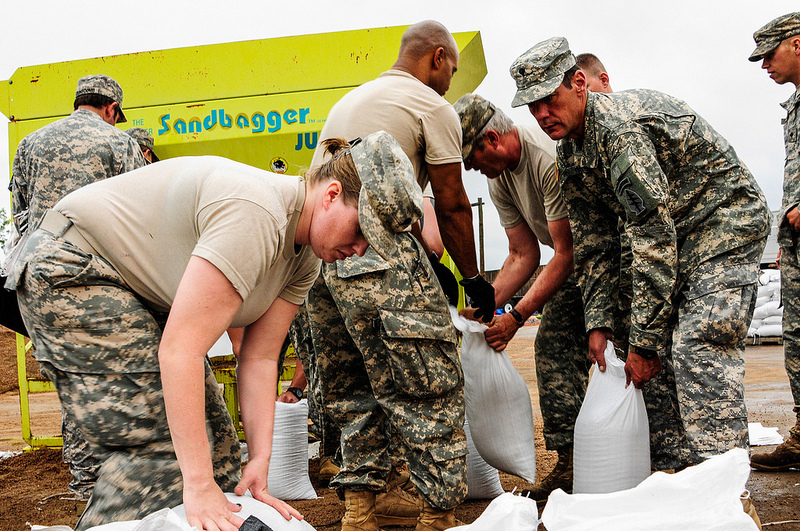 This has gone from dry conditions to volatile conditions." So far there is one reported fatality, and at least 20 buildings were destroyed in Carlsbad alone, with one burning house visibly exploding from an unknown cause. Santa Ana winds were whipping up and fanning the flames, making the situation direr. Several firenados were observed - devastating flaming cyclones that develop during very intense wildfires. Though those winds have begun to die down now, Mayor Matt Hall warned, "That does not mean they may not pick up again." "A heat wave and tinder-dry brush have created a dynamic, dangerous situation," California fire captain Mike Mohler said. "It's just unfortunately a recipe for a large fire and that's what we're seeing right now." Something of a reprieve, at least, was expected today, according to meteorologist Jon Erdman. He said, "Santa Ana winds, record heat, and low humidity will persist in southern California through Thursday. Beginning Friday, winds will begin to turn onshore, with much cooler 60s and 70s returning to the coast this weekend." In Carlsbad today, however, it is currently still almost 90 degrees. On a more positive note, firefighters are reporting that the fire there is about 50 percent contained - a large uptick from the mere 10 percent two days ago. Some evacuation orders have been lifted. Officials estimated the Carlsbad wildfire alone has caused $18.5 million in damage so far. Another fire near San Marcos is only five percent contained and has produced smoke plumes so large they can be seen from space. Seven more fires are still being fought in other areas. Meanwhile, some 2,300 people across San Diego County are dealing with power outages, according to San Diego Gas and Electric. Gov. Brown stated, "The heat is terrible. The last few years have been the driest in recorded California history. They think they've got this [Carlsbad fire] contained, or are about to have it contained. But they've got other fires all over the place, and most serious of all, California has a fire season that is getting longer. And the most serious fires have occurred in the last decade, so things are getting worse." He said the blazes were undeniably tied to global warming, adding, "Despite what you hear in Washington, climate change is a factor here. It's not about theory. It's not about politics. This is about fires on the ground, people's homes, firefighters. And yes, these conditions are definitely caused by climate change; global warming induced by human activity. So we've got to make changes. But right now in California we are dealing with it and handling it as best we can." San Diego fire chief Javier Mainar said, "It is pretty amazing to see these fires in May. We certainly have seen climate change and the impact of climate change. My understanding is we've seen twice the number of wildfire starts in the state of California as we typically see this time of year." On Thursday, some Carlsbad residents returned to find their homes gone. The fires, and in particular the firenadoes, in many cases demolished and flattened entire houses. "We walked up to our place, and it was like a bomb went off," said resident Anya Bannasch. "I can't even explain just how horrific it was." The fires are an ongoing disaster, and far from over, she said. There are "other families out there that are going through this right now," she added. "There's fires everywhere." The number of people working in the renewable energy industry grew by 14 percent to 6.5 million people in 2013 with solar power leading the job growth. China is emerging as the top employer in the renewable energy industry, followed by Brazil and the United States. The number of people working in the renewable energy industry grew by 14 percent to 6.5 million people in 2013 with solar power leading the job growth. The promising numbers come from the annual review by the International Renewable Energy Agency (IRENA) and shows that – despite the economic crisis – the renewable energy industry is growing and has become a key player on the job market. “With 6.5 million people directly or indirectly employed in renewable energy, the sector is proving that it is no longer a niche, it has become a significant employer worldwide,” said IRENA Director-General Adnan Z. Amin. China is emerging as the top employer in the renewable energy industry, followed by Brazil, USA, India, Germany, Spain and Bangladesh. The renewable energy sector which employs the most people is solar photovoltaic – employing 2.27 million people globally. Biofuels, the second largest renewable energy sector, trails far behind solar power with only 0.83 million jobs. Wind power, modern biomass and biogas follows. 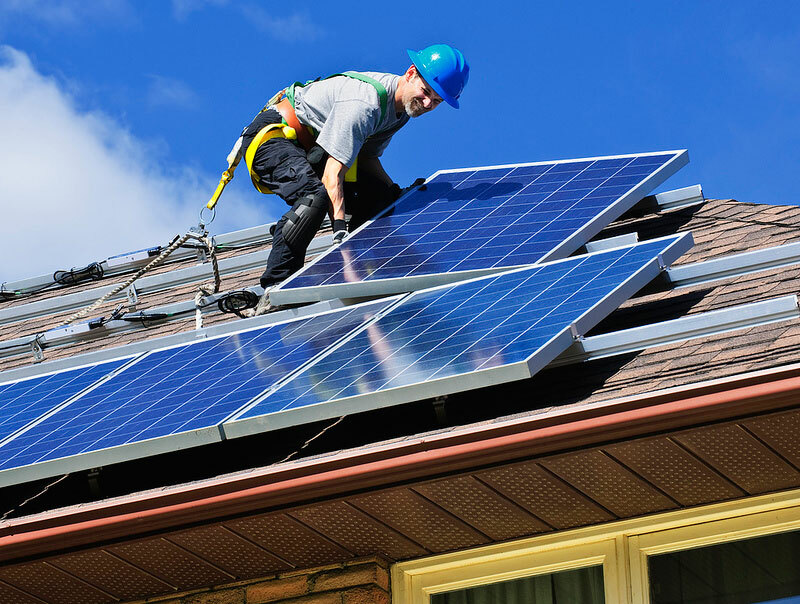 The job growth is being driven largely thanks to the rapid decrease in the price of solar photovoltaics in recent years. Between 2011 and 2013, the installations of solar photovoltaics in China alone increased five-fold. The wind industry has seen positive growth in Canada as well as in China in recent years, the study notes. The growth of offshore wind power is mainly being concentrated in Europe – particularly the United Kingdom and Germany. The study notes that wind progress in the U.S. is lagging behind because of “political uncertainty”. But while the U.S. lags behind in wind power it remains the largest producer of biofuels, followed by Brazil which is also the world’s largest biofuel employer. I think it’s safe to say that we all feel that cable news networks could do their global warming coverage much better and more extensively than they currently do. But how well do they actually cover the climate crisis? Last week the U.S. federal government released the National Climate Assessment (NCA). The report details the highly acute impacts of climate change, impacts that are affecting every sector of society already and will only get worse as time goes. It’s an important report, especially for U.S. citizens. But according to new data by ThinkProgress only one American cable news network took the study seriously and actually covered climate change the right way. 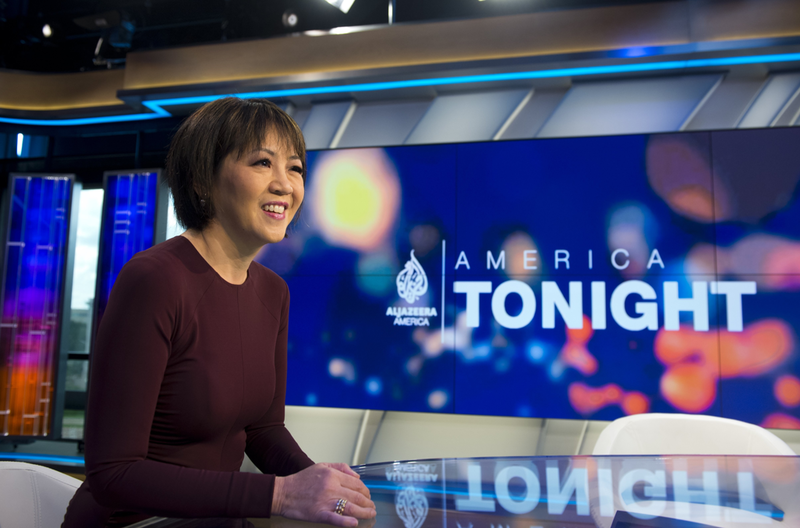 Al Jazeera America devoted a total of 120 minutes of airtime to the climate report. That’s miles ahead of FOX News who only dedicated 24 minutes to cover the report. CNN spent less than 80 minutes on it, and MSNBC only thought the new climate report was only worth 61 minutes of airtime. Al Jazeera America (AJAM) clearly devoted the most time to this new climate report, and they did so extensively compared to their competitors. “Besides reporting directly on the assessment and its contents, AJAM had reporters in San Francisco and South Florida to cover the impacts of sea level rise on coastal communities, one in the West looking at drastically low snowpack and drought, and featured NCA authors, climate scientists, and others explaining the assessment’s findings in-depth. AJAM’s 8pm News hosted by John Seigenthaler devoted over half of its hour-long running time to the climate assessment and its implications, more than Fox News spent over the course of the day,” ThinkProgress writes. Watch this hilarious video where John Oliver and Bill Nye shows why climate debates in the mainstream media are wrong and simply ridiculous. In a fair and “statistically accurate” debate, Oliver pit three climate skeptics against Bill Nye and 96 scientists who all accept the consensus on global warming. When mainstream media covers various topics they often do so by having a “balanced” coverage – that is when the media gives equal time to both sides of a story. When it comes to climate change this usually takes the form of “debates” where a climate skeptic debates the topic with a global warming “believer”. But this balanced reporting is totally inappropriate when it comes to climate change. It only gives the viewer a false idea of the state of climate science, while reducing global warming from the complex question it really is to a simplistic debate topic about whether or not it really exists – resulting in easy answers, populist views, quick fixes and confused viewers. It’s no wonder that this makes people question global warming despite the fact that, in reality, there is no debate. The scientific support for anthropogenic climate change is massive and unquestionable. 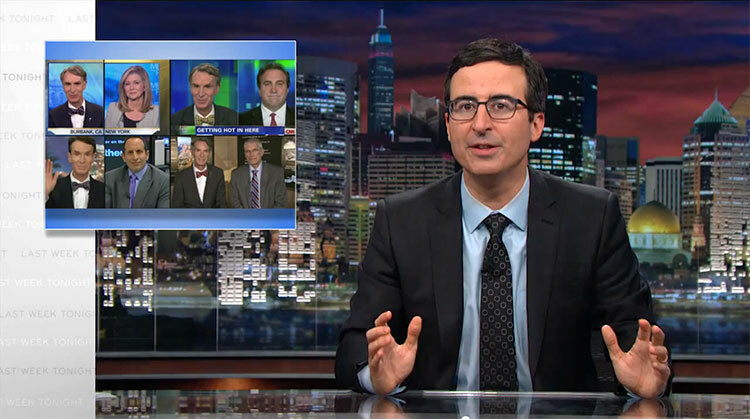 That’s why this climate segment from Last Week Tonight - John Oliver’s new show on HBO - is so great and spot-on. Oliver first explains why there really should be no climate debate, at all. He continues by demonstrating, with the help from Bill Nye the Science Guy, what an appropriate TV-debate should look like if the mainstream media followed the science behind climate change. His “statistically accurate” climate debate then pits three global warming skeptics against Bill Nye and 96 scientists. The result is simply hilarious! The science behind John Oliver’s “statistically accurate” debate comes from a study made in 2013. The study examined over 12000 peer-reviewed climate science papers and came to the conclusion that 97 percent of those papers supported the view that humans are responsible for climate change. The just-released National Climate Assessment confirms that growing impacts from climate change, predicted by scientists, are already hitting the U.S. They include significant shifts in precipitation patterns, melting permafrost, longer fire seasons, severe and sustained drought especially in the Southwest, storm and erosion impacts from rising sea level, and much more. The report, released by the White House on Tuesday, looks at the difference in regional impacts. Particularly hardest hit is Alaska, with small communities already having to move inland due to permafrost melting, coastal erosion and the more rapid increase in average temperatures in the Arctic. The Southeast, though it has observable impacts, shows the least changes thus far due to global warming. Some areas of the Midwest will have longer growing seasons, at least in the short term, but areas dependent on snow pack melting for water are already facing earlier springs with earlier melting of the snow, causing serious problems for agriculture in the late summer. Unless there is a shift away from still-escalating greenhouse gas emissions, the report warns, U.S. average temperatures by the end of this century could reach 10 degrees Fahrenheit. The impacts could be catastrophic. Already, growing stress on water resources is causing conflicts between urban dwellers, farmers, other agricultural interests. The drought currently experienced in California is just a taste of longer and more severe droughts in that region, already significantly water-stressed. In the eastern U.S., the number of extreme weather events, including very heavy rain events, has increased already. The number of extreme rain events has already increased over 70 percent in the Northeast. These varying impacts are being seen across many industries. The report notes, "Corn producers in Iowa, oyster farmers in Washington State, and maple syrup producers in Vermont are all observing climate related changes." "Americans are noticing changes all around them. Summers are longer and hotter, and extended periods of unusual heat last longer than any living American has ever experienced. Winters are generally shorter and warmer. Rain comes in heavier downpours. People are seeing changes in the length and severity of seasonal allergies, the plant varieties that thrive in their gardens, and the kinds of birds they see in any particular month in their neighborhoods." "... increasingly frequent and intense heat events lead to more heat-related illnesses and deaths and, over time, worsen drought and wildfire risks, and intensify air pollution. Increasingly frequent extreme precipitation and associated flooding can lead to injuries and increases in waterborne disease. Rising sea surface temperatures have been linked with increasing levels and ranges of diseases. Rising sea levels intensify coastal flooding and storm surge, and thus exacerbate threats to public safety during storms." "Multiple lines of independent evidence confirm that human activities are the primary cause of the global warming of the past 50 years. The burning of coal, oil, and gas, and clearing of forests have increased the concentration of carbon dioxide in the atmosphere by more than 40 percent since the Industrial Revolution, and it has been known for almost two centuries that this carbon dioxide traps heat. Methane and nitrous oxide emissions from agriculture and other human activities add to the atmospheric burden of heat-trapping gases." While Republicans and coal-state Democrats have obstructed all efforts to develop a national response to climate change, many cities and states are beginning to make policy shifts to decrease greenhouse gas emissions, and to adjust to the changes now upon us. While this assessment focuses on the science, on the observed changes in process, and on public policy changes for policy makers to consider, it does not deal with the many different and growing struggles taking place on environmental and climate issues. The struggle against the Keystone XL pipeline is bringing together unique coalitions such as the Cowboy and Indian Alliance that recently sponsored a week of actions in Washington D.C. Farmers, Native American tribes, and environmental groups are uniting to oppose the interests of the big energy corporations, which propose to trample on the land these groups depend on. Anti-fracking struggles are taking place in many parts of the country, opposing the threats to our drinking water systems, the increases in earthquakes due to fracking, and the devastation wreaked on nearby communities. The movement to demand that cities, states, pension funds, and university endowment funds divest from fossil fuel companies got a boost from the decision this week by Stanford University to withdraw all of its funds from fossil fuel "investments." The divestment movement, already successful at several major universities and cities such as Seattle, is growing internationally. 350.org is coordinating these efforts here in the U.S. and working with many organizations worldwide to put the fossil fuel companies on notice that they will pay political, public relations, and economic prices for their profit-taking on production destructive of our common future. The assessment says, "Adaptation and mitigation are closely linked; adaptation efforts will be more difficult, more costly, and less likely to succeed if significant mitigation actions are not taken." Action must be taken on the individual, city, regional, national, and international levels if humanity as a whole is to avoid the worst consequences of global warming which will occur if there isn't a change from business as usual. The sooner we act, the cheaper and more effective our policy responses will be. As millions or people around the world engage in struggle on climate issues, they are bringing democratic pressure to bear on those who want to confuse us, who want to delay collective action so their private interests can continue to make excess profits. This article was first published in People's World by Marc Brodine. Too many supposedly radical books are written by academics for academics, apparently competing to see who can produce the most incomprehensible prose. My list of ‘books to be reviewed’ contains literally dozens of overstuffed and overpriced volumes that only a handful of specialists will ever read, books with little or no relevance to the non-university world. So it’s a true delight to receive a book written by an activist for activists, a practical contribution to building real struggles for a better world. Confronting Injustice is a powerful call for collective action against the social causes of poverty and climate change. It’s a compact and well-written book that deserves to be widely read. Umair Muhammad is a student at York University, but he lives and is politically active among low-income and immigrant workers, as a member of Jane Finch Action Against Poverty. He is also active in the campaign to block Enbridge’s plan to pump tar sands crude through Toronto in the Line 9 pipeline. His book addresses young people like himself, men and women in their teens and twenties. He argues that environmental destruction and poverty, the two biggest crises facing humanity today, have common roots in an economic system that allows corporations and the wealthy to vastly over-exploit the world’s resources, while billions live lives of hunger and desperation. In contrast to some radical writers who promote “anti-capitalism” as an end in itself, Muhammad argues firmly for socialism, which, following Michael Lebowitz, he defines as a “solidarian society” motivated by human needs, not profit. Two of the book’s four chapters address “Inequality and Activism” and “Climate Change and Activism.” Each concisely outlines the problems, the role of capitalism in creating and perpetuating them, and the inadequacies of the most commonly promoted solutions – charity and NGOism for poverty, market solutions for climate change. These chapters deserve careful study, if only as examples of how to explain these subjects in a clear and popular style. This could have been a dry and abstract discussion, but it reads like a friendly discussion among activists. For example, Muhammad stresses the dangers of a focus on individual lifestyle change, while recognizing that such an approach often rests on honorable motives. What he provides in his final chapter is a general approach to social change, based on sources as varied as Martin Luther King, George Orwell, Michael Lebowitz, Bertrand Russell, Mahatma Gandhi and David Graeber. This is obviously not your father’s radical orthodoxy: Muhammad’s views are influenced by various schools of radical thought, and it’s not clear to me that the result is consistent or coherent. Be that as it may, what he provides is an opening statement in an important discussion that activists must have. It’s especially important that it be read and debated by the new generation that, like its predecessors, is searching for its own path to radical conclusions. Socialists my age – we of the ‘60s and ‘70s – often complain that we don’t seem able to reach younger people, that liberalism in its reformist and anarchist forms has captured and held their attention, while socialism is rejected out of hand. Part of the reason may be that we don’t know how to talk to people for whom the Cold War and Vietnam are ancient history. Those people are this book’s most important audience. Umair Muhammad raised the seed money to publish Confronting Injustice through Indiegogo, and is selling it for just $15, with a sizeable portion of that going to Jane Finch Action Against Poverty. 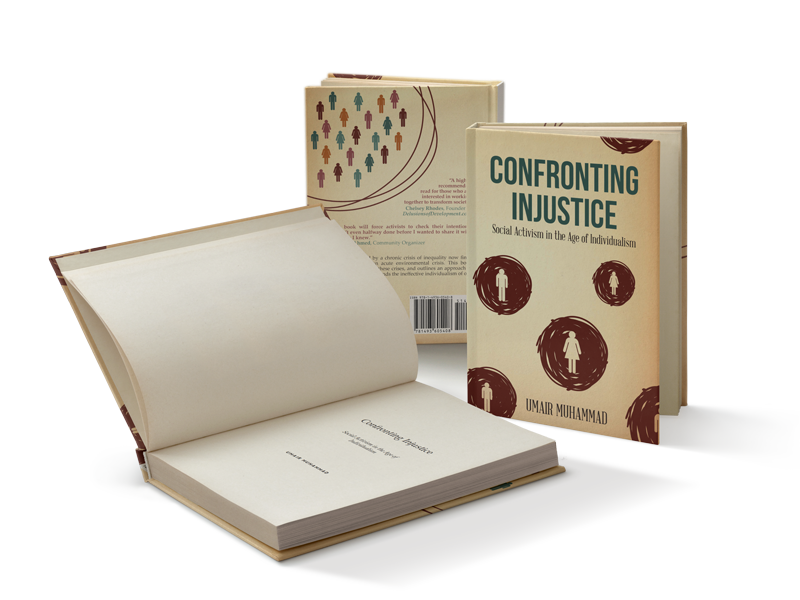 For those with limited finances, it can be downloaded free from the website ConfrontingInjustice.com. But if the price isn’t a barrier, my advice is: buy several! Keep one and read it carefully, and use the others to initiate conversations. The bread you cast upon the waters will return many times over. 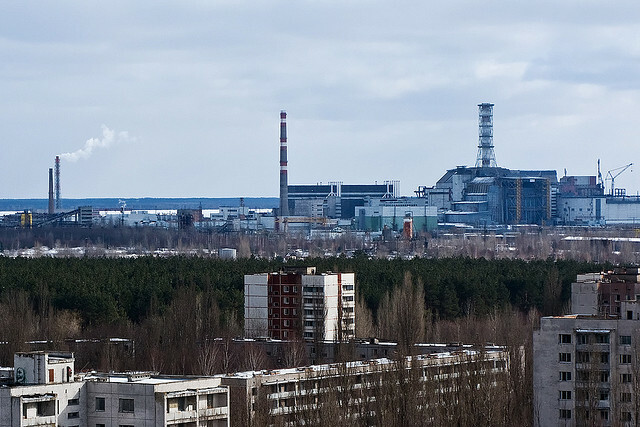 An escalating conflict between Ukraine and Russia could impact the construction of Chernobyl’s radiation shield. The gigantic $2 billion containment shield – one of the largest moveable structures ever constructed – is designed to keep the still highly unstable nuclear power plant safe from radiation leaks for approximately 100 years. The containment shield was planned to be placed above the leaking reactor by the end of next year. But the economic crisis in Ukraine, following the revolution and the ongoing conflict with Russia, could delay the construction with up to two years. The European Union has pledged to cover €250 million of the cost for the Safe Confinement project with the US pledging €182 million, Germany €60 million, the UK €53 million, Russia €15 million and Ireland €8 million. “In our financial analysis we are of course making the working assumption that [the Safe Confinement project] will not receive any money from Ukraine in the near term,” Vince Novak, director of nuclear safety at the EBRD said in a recent interview with Nuclear Engineering magazine. Ukraine was expected to contribute €45 million towards the cost of building the gigantic concrete sarcophagus over the reactor. But Ukraine is currently broke and in the middle of a conflict which could, in the worst case scenario, trigger a war with Russia. Work on the containment shield was halted earlier this month. But the new containment shield is becoming increasingly crucial as the old sarcophagus, which was hastily put in place after the nuclear accident in 1986, is deteriorating rapidly. Just last winter parts of the concrete coating on the old shield collapsed. So the containment new shield is essential to keep the region safe from further radiation leaks. “What can never be forgotten is that the destruction caused by the deadly explosion at Reactor No 4 at Chernobyl was triggered by the release of just 3% of the radioactive material in the plant; the remaining 97% of this enormous ‘ticking timebomb’ of highly unstable nuclear material is still inside the crumbling Chernobyl complex,” said Adi Roche, CEO of the humanitarian aid agency Chernobyl Children International. Roche’s organization has already been forced to suspend its life-saving cardiac surgery programme located in Kharkiv in the east of Ukraine due to the ongoing conflict. It’s estimated that around 6000 children are born with genetic heart diseases and defects in Ukraine each year. Medical experts there say these conditions are linked to radiation leaks from the Chernobyl nuclear plant accident. “Because the situation in Kharkiv is so tense and volatile we felt we had no option but to cancel the operations which the children and their parents had been hoping for”, said Adi Roche. “This is very tragic because there are long waiting lists for these vital life-saving operations”. The work on the containment shield resumed just a couple of days ago. But the European Bank for Reconstruction and Development (EBRD) describe the current timeline, with a deadline in 2015, as “ambitious.” And if the current conflict in Ukraine worsens, the new containment shield could be further delayed. Every year around 100 billion plastic bags are manufactured, sold and used on the European market. In 2010, there was 200 plastic bags for each person living in Europe. As one can imagine, many of these plastic bags end up as litter in nature where they pollute the environment, especially aquatic ecosystems, and harm wildlife. 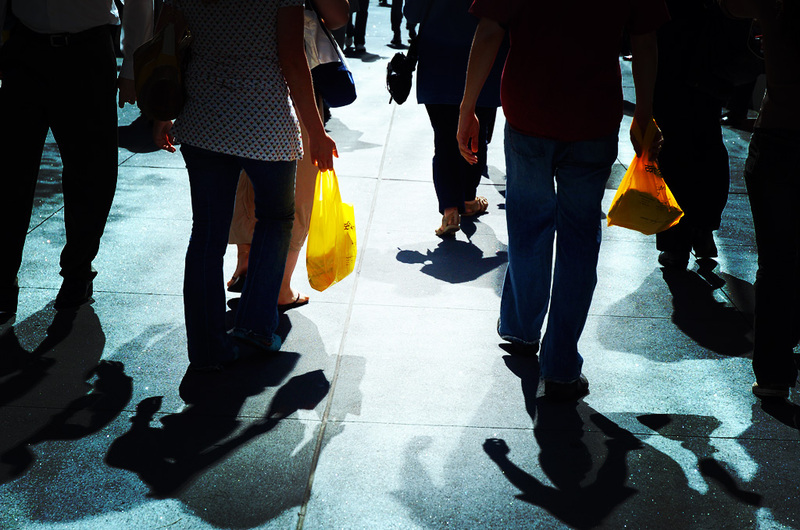 But this past Tuesday, the European Union moved one step closer to reduce the use of plastic bags in Europe. It was the European Parliament which voted in favor of a proposal from the European Commission to reduce the consumption of lightweight plastic bags by half in 2017 and by 80 percent in 2019, compared to 2010 levels. It’s hoped that the so-called light bags, which are mainly used to wrap up loose food, will gradually be replaced by biodegradable and compostable bags by 2019 in Europe. The vote, however, was just the first reading of the bill and the future of this legislation will be decided on after the upcoming European Parliament elections at the end of May. This reduction could be achieved by imposing taxes or fees on plastic bags, issuing advertising rules or even banning the use of plastic bags in certain shops. But it will be up to each member state to enforce their own rules and guidelines. This legislation advocates for a mandatory charging of carrier bags in the food sector and a recommendation to charge for plastic bags in the non-food sector. “The huge and growing consumption rates of plastic bags - 100 billion bags per year in the EU alone - demonstrates a reckless waste of resources. Plastic bags are a symbol of our throw-away society and unsustainable lifestyles,” said the European Commissioner for Environment Janez Potocnik in a statement. “We use them for a few minutes, but their legacy lasts for hundreds of years, often as harmful microscopic particles that are damaging the environment worldwide, especially the marine environment. In the North Sea, the stomachs of 94 percent of all birds contain plastic,” Potocnik added.